I don't have many regrets in life, but when I do, it usually involves missed opportunities in regards to relationships. I think back to times when I probably could have gotten into a relationship if I had pursued it or taken a chance. Often times I come to the realization that it could have been so easy at the time yet I was completely oblivious to the fact back then. I tell myself that it won't happen again, but it always does. Nothing changes. It happened again today. I was going to the grocery store after work and as soon as I parked I see this girl who catches my attention. She had glasses like me and she looked like a single independent young woman, someone I could totally see myself going out with. Right away I was nervous. I actually paused for a moment so we wouldn't go in at the same time, but despite my efforts, we still did go in at about the same time. We both got carts and went separate ways. Missed opportunity I thought. A few minute later, by chance I run into her again alone in an isle. It was the perfect opportunity to go up and talk to her. Now normally I would never do something like this. I just wouldn't feel comfortable doing it and I would feel like I was inconveniencing her or something. Funny thing is, I had just watched a video on Youtube by SimplePickup and they had advice exactly for this situation. It was running through my head. Basically the advice was that even if you are nervous and don't know what to say, just go up and start talking. You have nothing to lose and everything to gain. Even with this mind set, I still chickened out and walked past her without talking to her. It makes me think, will I ever be able to do something like that and just randomly approach a girl who I might be interested in. I go shopping at this store about the same time at least once a week. I made a promise to myself, if I see her again, I must approach her and talk to her. No excuses! I have missed way too many opportunities in the past. I can't let it keep happening. My high school had a reunion this past weekend. The event was roughly organized through a Facebook group and thrown together at the last minute. I'm not active on Facebook, but I had been following the posts about the reunion. Since graduation, I have not kept in touch with anyone I knew from high school; this being a decision I made by choice. I have always been a bit of a loner or as I like to say "independent". I had friends back then and participated in team sports, but when it came to socializing, I was never really into that. If friends called me to hang out, I would, but I never called them. As time went by, I lost touch with everyone. I went on with my life. In the time passed since high school, my life has turned out ok in some areas, but not so great in others. I feel like I'm not as accomplished as I should be compared to other people my age. I think that's why even today I avoid hanging out with people my age because I don't want to be compared to them. When I heard about the reunion happening, I was not inclined to go. To me, reunions are for the popular kids to go back and see their old friends. I thought reunions were for for all the people who still look as good as they did back then to come back a flaunt it. My impression was that it was for the people who became rich and successful to come back and brag about it. Not feeling like I am any of those 3 things, I decided not to go. I feared if I went there, I would see my former classmates all still looking good, married happily with kids, and talking about the great jobs they have and how their lives are going great. So I didn't go, but of course I am following the news and pictures that get posted about the reunion and what happened. Here's where it gets interesting. I just got through looking at about 100 pictures from the event and to tell you something, I was very surprised. First of all, I didn't recognize half the people. Either there were a lot of guests, or people just changed a lot. I would say about 10% of the people looked about the same as they did before. The other 40% I recognized looked a lot older and let's just say, not so good. Personally, the one thing I would have been self conscious about the most would have been my hair which has receded quite a bit. I think most guys my age still have a full head of hair, but you know what? About half the guys in the pictures were losing their hair just like me and they still showed up! Another thing I noticed is how most of the guys got fat. I never got fat, in fact I am still very skinny, probably even more so than I was back then. So after looking at the pictures, and getting a little boost in confidence, I probably could have gone if I wanted to. I don't regret it though. Most of the people I knew back then, it appears didn't show up for the reunion either. I bet there are a lot of people like me just lurking on the internet, spying on their former classmates, thinking the same thing about how they don't feel like they turned out good enough to go back and face their peers. 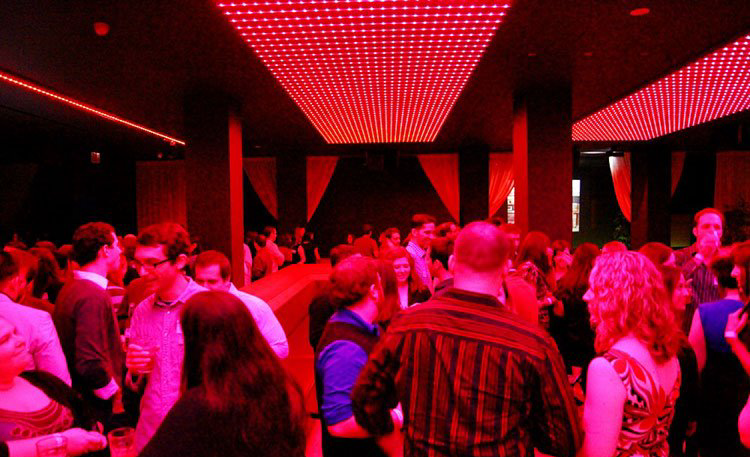 It would be nice to rekindle some old relationships and establish some new networking connections with former classmates. Maybe someday if I become more content with where I am at in life, I might get on Facebook and reconnect with my old friends and acquaintances. For now I can rest assure that perhaps I turned out better than I thought and that other people my age are not as different as I believed. Who knows, I might actually attend the next reunion. My local grocery store chain Jewel has started a new promotion for the holiday season where you get these game pieces each time you shop and you collect them to win prizes. It's like the McDonalds Monopoly game. I started getting into it because it is fun to collect them and try to win stuff. It looks like the odds of winning even the small prizes are rare, but I think I will still continue to collect them for fun and who knows, maybe I'll win something. Anyone else playing this game? 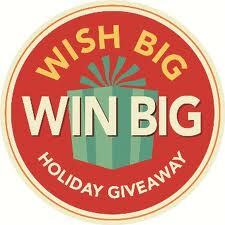 Have you won anything yet? The game goes through February so there is still a lot of time to collect and win. I have been drinking Ensure Plus for a few years now because I have a hard time gaining and maintaining weight and it has a lot of calories. You get 350 calories for an 8 ounce bottle, plus lots of vitamins which is great. The problem is, it has become very expensive. 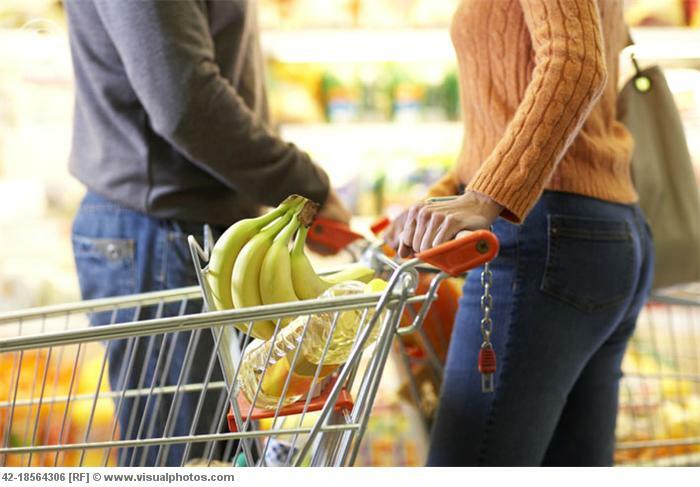 Most places sell a 6 pack for about $9.50. I have been buying the generic versions for a while because they are cheaper and still have the same nutritional value, but guess what? Now those versions are disappearing! My main store Jewel does not have them any more. Target rarely has them in stock and even when they do, they are still expensive. I even had to go to Walmart which had their own version which I don't like as much and it's still like $7.00 there. They have them online at stores such as Amazon, but the prices are not much cheaper. I don't know if the price of ingredients is going up or what, but the overall cost is becoming too expensive. Sometimes you can find Ensure coupons. A while back I had some good ones, $3 off a 6 pack, but those coupons are not around anymore. I just went to Jewel and the store brand is back in stock, the only thing is they changed the packaging type from can to carton. I'm glad to see they didn't do away with it all together. After trying the new version in the carton, I don't like it. It is hard to drink without it dripping down the side and the taste seems to be not as good. I don't know if they changed the formula or if the carton is changing the taste, but either way I don't like it. I'll have to email them about this. The prices keep going up. Average price of Ensure Plus is about $10-$10.50. Even the store brands are usually about $8. Sometimes you can find coupons for Ensure in the paper and if you use these when they are on sale, the price is ok, but still not cheap. Today I found the most amazing deal on Ensure drinks. At Marianos grocery store, they were selling the 16 pack of regular vanilla for $5! That is not a typo. You read that correctly, $5 for a 16 pack of Ensure! I had to stare at the price tag for about 5 minutes to figure out if this was actually right. I kept looking around for someone who worked there to verify it. Then I saw a big display of them also marked for $5 so it was true! $5 marked down from the normal price of $22! This is probably the best deal I have ever found in a grocery store, especially for Ensure. The only catch is that I noticed the bottles expire in about 5 weeks, but that is plenty of time to drink them. I don't know if they made a mistake and ordered too much or what, but this was some amazing deal! 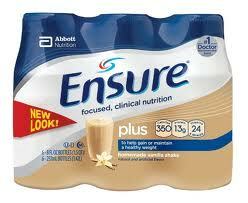 I recently signed up for the Ensure coupons which helps because they will send you coupons like $3 off a multi-pack. You can get a pretty good deal with this especially if you find them on sale. Sometimes I find a video on Youtube that I just have to share. This one is of a guy named Kyle Mooney who, in character mind you, goes around and interviews people while acting very awkward. He is part of a comedy group called Good Neighbor and they have some good videos, but Kyle's interviews are my favorite. This one is pure gold in my opinion. It is one where he talks to some girl named Hilary about the Nitro Cirus which is like a motorcycle extreme sports kind of show. There is more where that came from if you are interested. These are the kind of videos that might make you uncomfortable just watching them, but they are so funny at the same time. I hope he does this at the next Comic Con convention. There is sure to be great material there. Like most people who have to wake up early and go to work in the morning, I rarely get to watch morning tv shows. The only time I do is when there is a day off on a weekday, or during the summer if I'm not working. One of my favorite morning shows is Regis and Kelly. It's a light talk show where they have guests and talk about anything really. It's a fun show to watch, but sadly, this next week is Regis' last week. He has been doing it for so long and now he will be moving on. It is sad, but I think the show will continue. Even if it does, it won't be the same without him. We will miss you Regis! 1-19-12 UPDATE So now Kelly is hosting each week with a guest host. Whenever I don't have work on a weekday, I try to catch the show. It's still good. My favorite co-host so far is her husband Mark Consuelos. I think they make a great team. Only problem is when you live with someone and work with someone, it becomes too much time with that person, so it might not be the best idea. Maybe they can make it work. Another show I am watching this season which is sort of a guilty pleasure is America's Next Top Model. This season is an All Star season where they brought back some of the favorite models of the past 15 seasons. So far it has been a good season and they are making all the right choices for who gets voted off each week. I'm not a big fan of Tyra herself, but the show and the models are fun to watch. The one I want to win right now is a girl named Angelea. This is odd because I never really liked her in the past. She was kind of abrasive and had an attitude, but she has changed a lot. Now she is like the underdog and she has a better personality, one you want to cheer for. Can't wait to see what happens next week. There is a new comedy I have been watching that just kind of showed up out of nowhere called Man Up. It reminds me a bit of the show Traffic Light that got canceled last season. This one is showing some promise and keeps me tuning in week after week. It's a half hour comedy that follows a group of young/middle aged guys and their relationships. It's worth checking out if you have the time. Anyone else watching these shows? What shows are you watching? "It's such a good feeling to know your alive". Does that line ring a bell? If you watched Mr. Rogers' Neighborhood as a kid, you are probably singing the song right now. I had forgotten about Mr. Rogers until the other day when that song popped into my head. I don't remember if I really liked the show that much, but I do know that I watched it a lot. Looking back on it now, I'm glad I did. Mr. Rogers was a great influence on generations of kids, including myself. He made 895 episodes of that show to provide kids with something educational and entertaining to watch. He also composed the famous songs you know from the show such as "Won't You Be My Neighbor". Reflecting on myself after looking back on the show as an adult, I can see how it has had an influence on my character. Even certain phrases I like came from that show. I don't know if PBS is still airing the show, but if not, they should really bring it back, or use it as a model for new kids shows these days. Thank you for all that you have done Mr. Rogers. You will always be remembered. I love when I find new good music, more specifically, a new good artist; one where you discover a good song, proceed to listen to some of their other songs and ultimately find out they are all good! This rarely happens, so when it does, I get excited and have to blog about it. I had heard this catchy song in a Pepsi commercial, you have probably heard it, it goes something like "Tonight is the night is the night... woo woo ooh ooh ooh". So I finally got around to looking it up. Found it on Google by doing a lyric search. 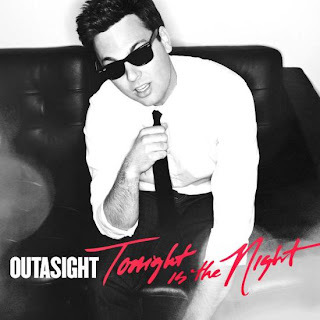 It turns out the song is called "Tonight is the Night" and it is by a guy under the artist name Outasight. I first go to the Youtube video that pops up, expecting to see something like 15 million views. To my surprise, it only has like 100,000. I know what you're thinking, that's a lot, and it is, but for a song that is featured in a Pepsi commercial, and sounds like a pop song that would be on everyone's top playlist this year, 100k is nothing. Apparently, this guy hasn't blown up yet. I predict this will change very soon. Outasight is making his tv performing debut tonight on X-Factor which should give him huge exposure and no doubt people will look him up and find his other good songs. I haven't even had time to fully go through his catalog and mixtapes, but already I have a few songs picked out to share with you. First up of course is the hit "Tonight is the Night". Next is a funky hip hop number called "It's Like That". Nod your head to this. One more of his newer releases called "Figure 8"